This comely pair of beasts can best be described as the Mennonites and the Canadian Labour Congress. For today’s OttawaWatch, the room in which these elephants are found is on pages 46 and 47 of the October 17, 2011 issue of The Hill Times, the widely read Parliament Hill tabloid. That is where THT editor Kate Malloy’s interview with Gruending appears. I hope to get a copy of the book soon, but the interview was fulsome enough to provide me with opportunity for useful analysis of some of Pulpit and Politics’ main themes. Malloy points out that Gruending attends a Mennonite church in Ottawa, that he is a former Saskatchewan NDP MP, served as information director for the Canadian Conference of Catholic Bishops and presently works for the Canadian Labour Congress. … religious conservatives tend to vote for the Conservative Party in elections, but their support goes well beyond that. The have a matrix of think-tanks, educational institutions and media that are a part of a broader conservative movement – think of the Institute of Marriage and Family Canada, REAL Women, the Manning Centre and numerous other groups. Their common goal is to move debate and public opinion to the right and to learn how to win at conservative politics. They have the ear of the Harper government. Religious conservatives have the upper hand in Canada right now. They have influence with the Harper government but religious progressives are struggling to be heard on issues of equality, justice, human rights and peace. These people are not going to go away. I think of the work being done on poverty by an ecumenical group called Citizens for Public Justice and the work on international human rights being done by another ecumenical group called KAIROS – which was attacked by the Conservative government and had its funding pulled. The Mennonites with whom Gruending worships will be cited by both progressives and conservatives as being friends. That is because, while coming from the evangelical and pietistic side of the theological stream, they have learned social justice through their pacifism – and through their forebears’ mistreatment in various parts of Europe. One of Gruending’s fellow worshippers, Vern Neufeld Redekop, author of Violence to Blessing, is head of the conflict studies department at St. Paul University, an Ottawa Catholic institution. A colleague, Brian Strom of the Canadian Institute for Conflict Resolution, is a Nazarene church lay leader. Both men get a quiet but attentive hearing in the backrooms of those people in the current government who are interested in understanding, managing and resolving conflict. And some of those people, believe it or not, are in the prime minister’s office. Mennonite leaders in Canada play an interesting and potentially conciliatory role in the worlds of conservative and progressive religio/politics. 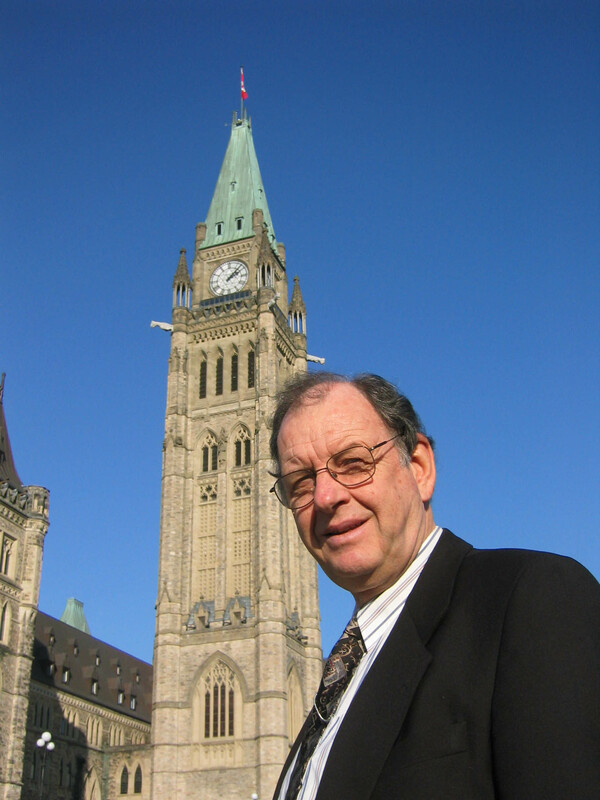 James Loewen, the restorative justice specialist in the Mennonite Central Committee’s British Columbia office, was a panellist in the discussion. While it is true that most folks at the Mennonite church I attend will vote Conservative, particularly as the candidate attends our church, in the faith-based non-profit world that I work in, no one would vote for the Conservative Party even if you paid them to. He may be right. But I would suggest that, as a Mennonite, he has an opportunity to engage the two groups, helping to bring them together to help the candidate who attends his church bear witness to their common faith. The congregation to which he refers is South Abbotsford Church, a large Mennonite Brethren congregation. The candidate to whom he refers is Ed Fast, who is now International Trade minister. Loewen and his fellow social justice Mennonites have the right and, indeed the responsibility, to engage Fast, a fine Christian lawyer and negotiator. And he needs to be encouraged to include the thinking of these internationally-aware fellow believers in his considerations. This is especially vital, because international trade is an important quiver, both in the government’s foreign affairs agenda and in its quest to serve as widely as possible in the political spectrum. What about the second elephant – the Canadian Labour Congress. One of the difficulties for Conservatives, in coping with the Christian input coming from the left side of the political spectrum, is the baggage which comes from the left. Let’s put it plainly. It is a fundamental belief within a large part of the labour movement and the political party it supports, that “class warfare” – not conciliation – is the way to go. From these above perspectives, it is a seeming conflict for public service unions, particularly, that they embrace the influence of state over that of society. They need to do so, in effect, in order to protect the jobs of their members, who rely on a bigger, rather than smaller, state. And, in the process, they eschew voluntarism, which is so important to an effective, non-statist sort of society, and which depends on the vibrant functioning of community and faith-based groups. It is good that Malloy made the point, in interviewing Gruending, that he has the Canadian Labour Congress connection. I believe it can be argued that the current government is looking for ways to encourage conflict resolution in the public sector. Much more is known about this field than was even 100 years ago, when union solidarity was such a necessary tool for workers to overcome employer repression. We also know more about mental illness, recognizing that it is not all demon possession. The enumeration of subjects could continue ad infinitum, on what advancements in knowledge have meant in making our world – and God’s – a better place in which to live. I look forward to reading Pulpit and Politics. It will be a useful book in the continuing examination of the faith-political interface. 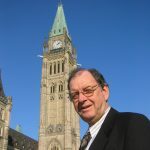 And readers who want to track my own meanderings on the subject, can go into the archives of www.canadianchristianity.com, for copies of the 318 OttawaWatch columns written since 2005. In effect, this is a “book” in the form of weekly columns.